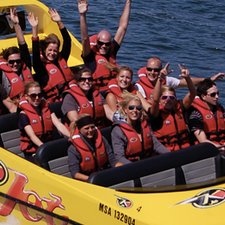 Right at the City lakefront in Rotorua , We are" licenced to thrill", specialising in awesome jet boating & the free flight of tandem or solo Parasailing flights. Where else in new Zealand can you get these experiences in the same place. Great for all ages. Check out our SkyJet combo. Something not to be missed.Open 365 days of the year.